Capstar 57mg is an oral flea treatment for dogs. 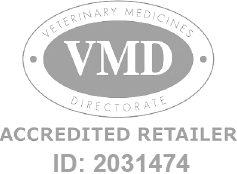 Capstar Tablets for Medium & Large Dogs - 57mg is a Prescription Only Veterinary Medicine and by law requires a prescription from your vet. Capstar 57mg is an oral flea treatment for dogs. Capstar starts killing fleas within 15 minutes and provides 100% efficacy over 24 hours. Can also be used to treat flea allergy dermatitis.